1. The authors learn about the acceptance of their papers within just 1week from the submission, what makes IRAMP a super-fast track journal. 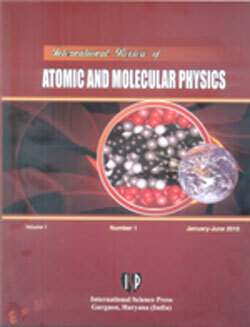 and enter International review of atomic and molecular physics IRAMP. The coverage by similar sites is forthcoming. 3. A publication in the IRAMP creates a timely record of the authors results for a broad audience around the world – without preventing the authors from submitting a modified/extended article elsewhere. 4. The publication is free of charge. 5. There is no page limit. Another new feature recently added to the IRAMP is the extension of the scope of this journal to include a significant part of nanophysics, namely: optical and beam-probe nanophysics. in addition to the distribution of hardcopies of the journal to major libraries and institutions around the world. The journal is published semi-annually.